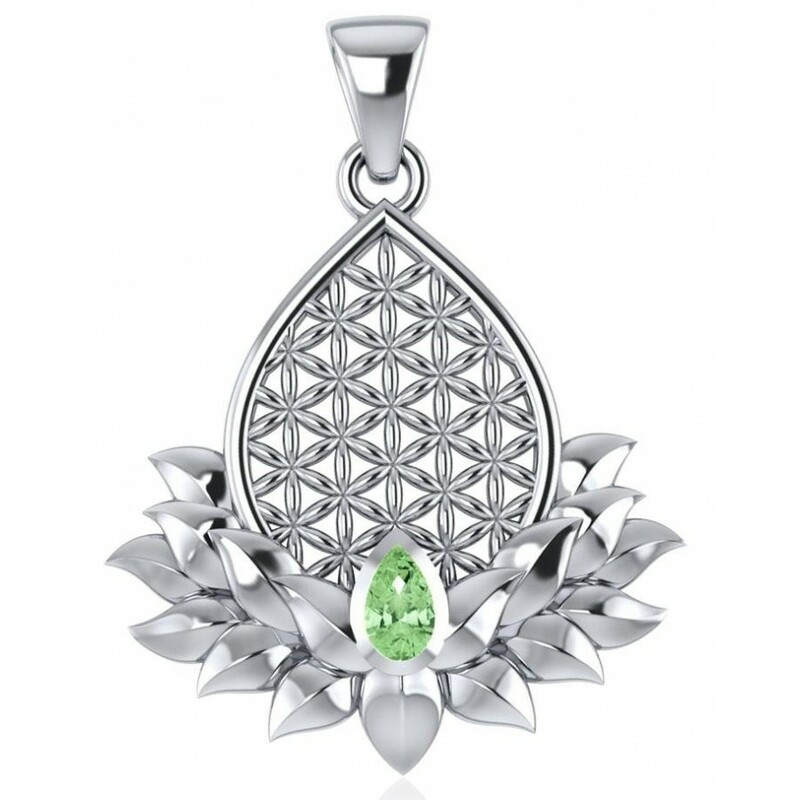 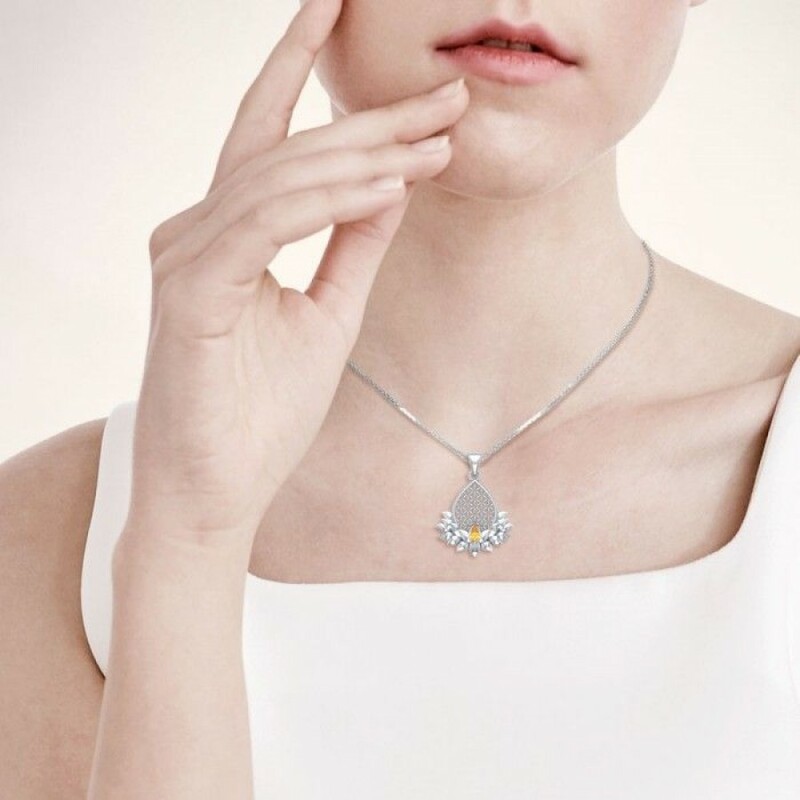 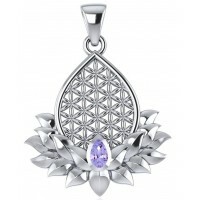 Elegant and full of spiritual meaning, this Flower of Life Lotus pendant is set with a sparkling faceted peridot green gemstone. 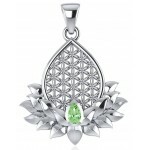 Peridot is a green variety of olivine ranging from pale to medium yellow-green. 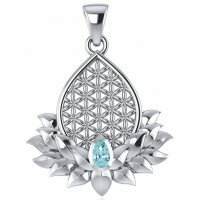 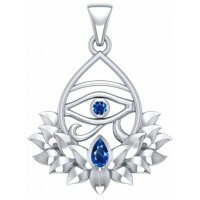 The birthstone for August, it is a gem of spirit and expression. 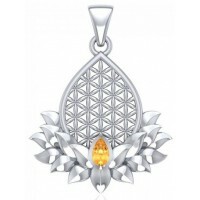 It symbolizes the sun and brings feelings of inner warmth and well-being. 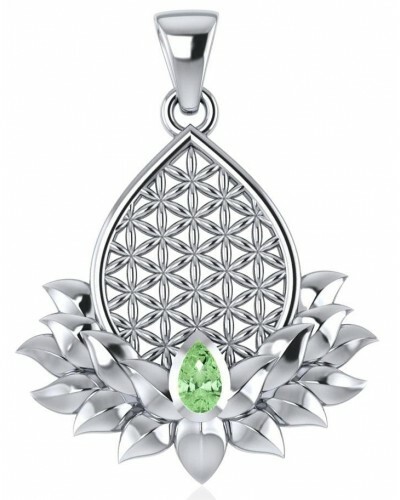 It helps to open the heart to joy, abundance, and strength. 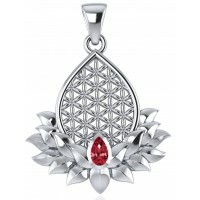 Item Number: PS-TPD4958-PE | Approximate Size (Inches): 0.94 wide x 0.05 deep x 0.98 high | Approximate Shipping Weight: 0.25 lbs.